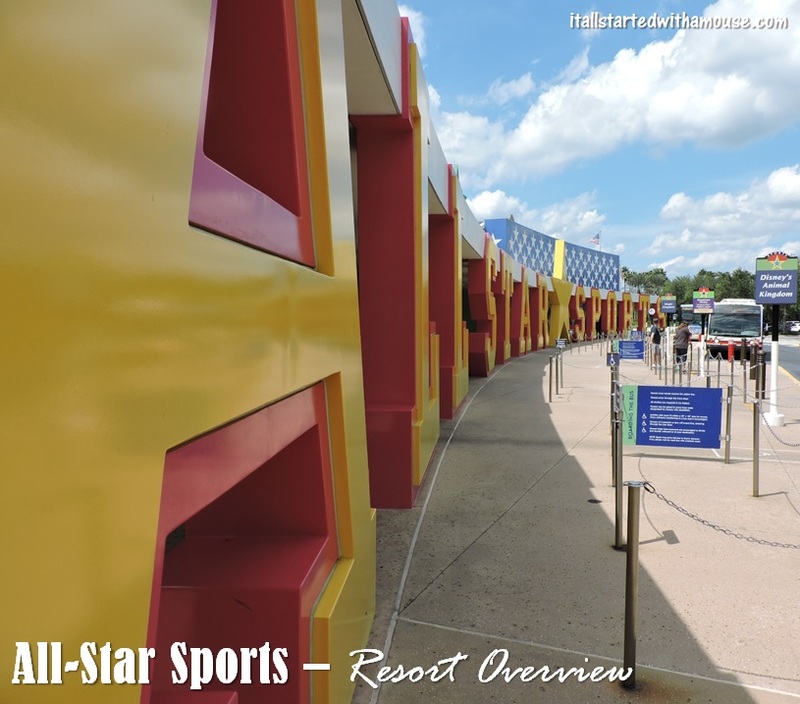 Disney’s All-Star Sports Resort opened in April of 1994, making it the first All-Star Resort at Walt Disney World (All-Star Music followed in November of 1994 and All-Star Movies in January of 1999). The resort features different areas themed after popular sports and is broken down into 5 sections: Home Run Hotel, Touchdown, Center Court, Surf’s Up, and Hoops Hotel. Be sure to take some time to check out the different areas during your stay! There are 2 themed pools at All-Star Sports. The feature pool is located in the Surf’s Up courtyard and is surfing themed. The quiet pool is a baseball themed pool, situated in the Home Run Hotel courtyard. Located inside Stadium Hall is End Zone Food Court, All-Star Sports’ quick-service dining location. They are open for breakfast, lunch, and dinner, and feature different areas where you can grab unique cuisine. There is a bakery, a grab-and-go market, and several different counters where you can grab a burger, salads, pizza, pasta, and more! Check out the full menu here. For the shoppers in your family, be sure to check out Sport Goofy, where you can find souvenirs, gifts, snacks, and any essentials you may have forgotten to pack! Sport Goofy is located inside Stadium Hall. Standard rooms have either 2 double beds or 1 king bed. Cribs are available upon request. Rooms come equipped with a safe, TV, mini-fridge, iron and ironing board, hairdryer, and free wi-fi. Laundry facilities are located near each pool. It is important to note that All-Star Sports shares buses with the other two All-Star Resorts. So while you may find a cost savings staying at an All-Star, if you are depending on the buses as your only form of transportation while on property, it might be worthwhile to look into Pop Century as an alternative, since it may save you time (and hassle) on your vacation.